This one’s an oldie, but still available if you haven’t scored it yet. 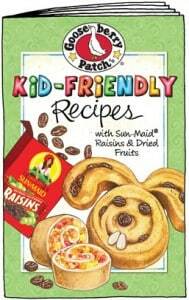 Click here to visit their site and fill out the easy form to request a free Gooseberry Patch Kid-Friendly Recipes book. If you rather not wait, there’s also an option to view it right away.